Chloé Zhao is only on her second feature film, but she’s quickly become one of the most acclaimed directors working in the independent-film space: Her new movie The Rider was a major hit at the Cannes Film Festival, went on to acclaimed runs at Telluride and Sundance, and was nominated for four Independent Spirit Awards, including Best Picture. Vulture has the exclusive trailer for the film, which follows a young rodeo cowboy who survives a near-fatal throw but is told he can never ride again. How can he give up the only thing he knows how to do, and the only thing that makes him feel like a man? 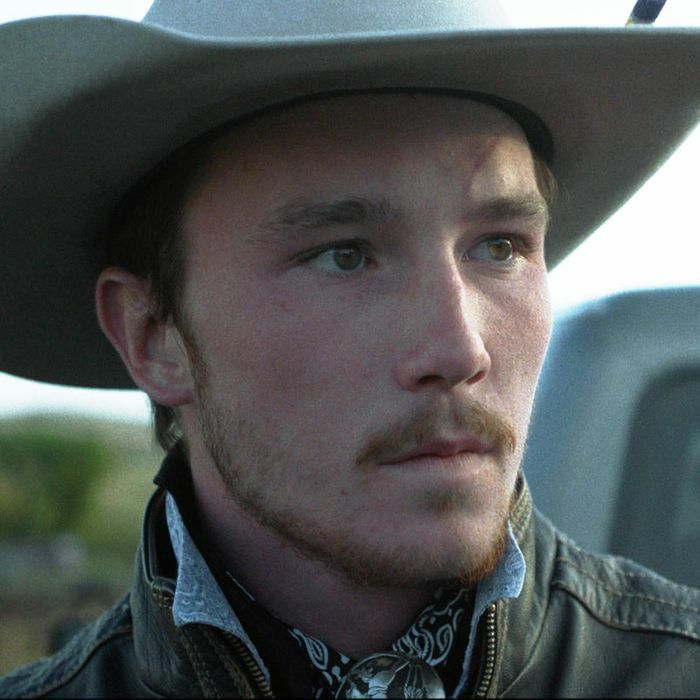 Zhao cast real-life Lakota cowboy Brady Jandreau as the lead and filled out the rest of the cast with Jandreau’s family and friends, and the naturalism of the performances, stoicism of the characters, and lyricism of Zhao’s directing all add up to something emotionally potent. Audiences in New York and Los Angeles will have the chance to saddle up and see when The Rider debuts in those two cities on April 13.